Mummy Hot Dogs are the perfect Halloween appetizer. 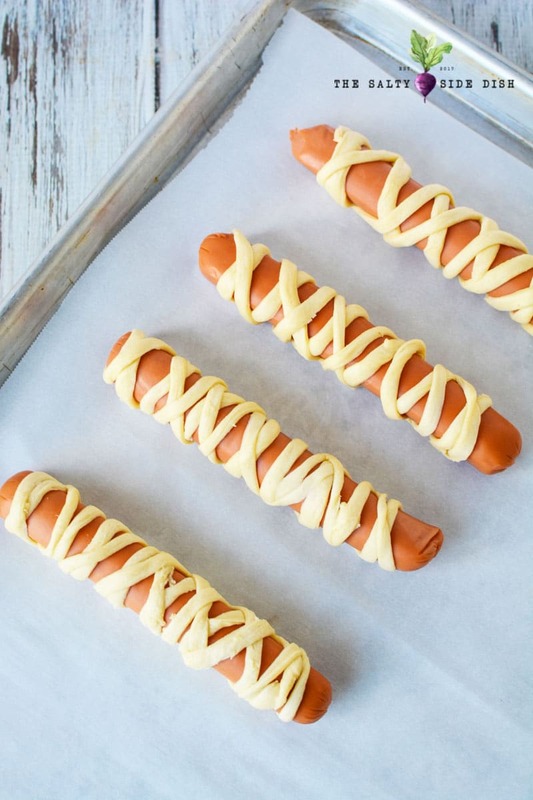 So adorably cute and perfectly delicious, these mummy dogs are just the finger food you serve before trick-or-treating. 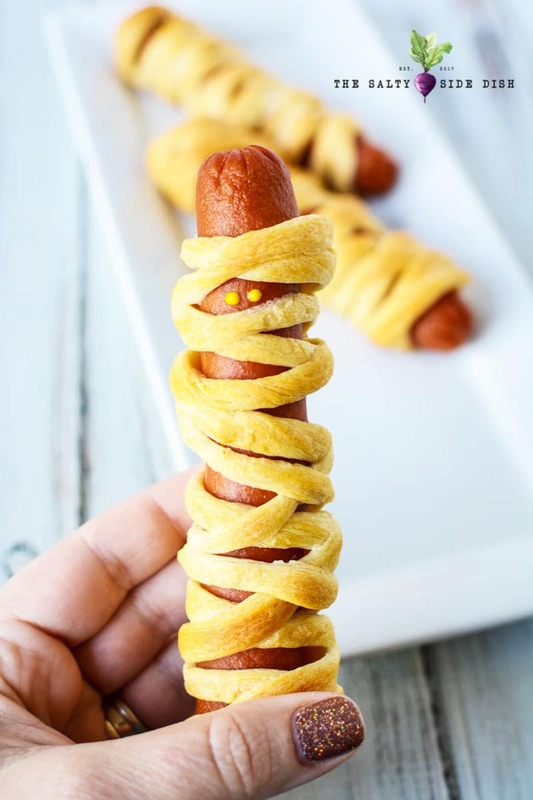 Using a crescent roll as a bun, you can wrap up your dog into a bite sized mummy that will delight kids and adults alike! Another awesome and complimentary recipe to serve up for the Halloween holiday is this Mozzarella Eyeball Tray! 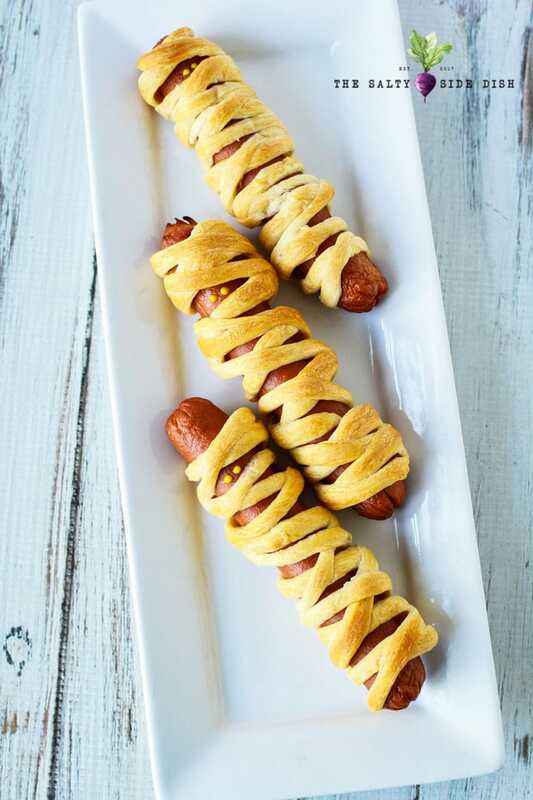 These mummy hot dogs are a fun main meal or appetizer. Looking for other awesome appetizers to cook, bake, or simply eat up? 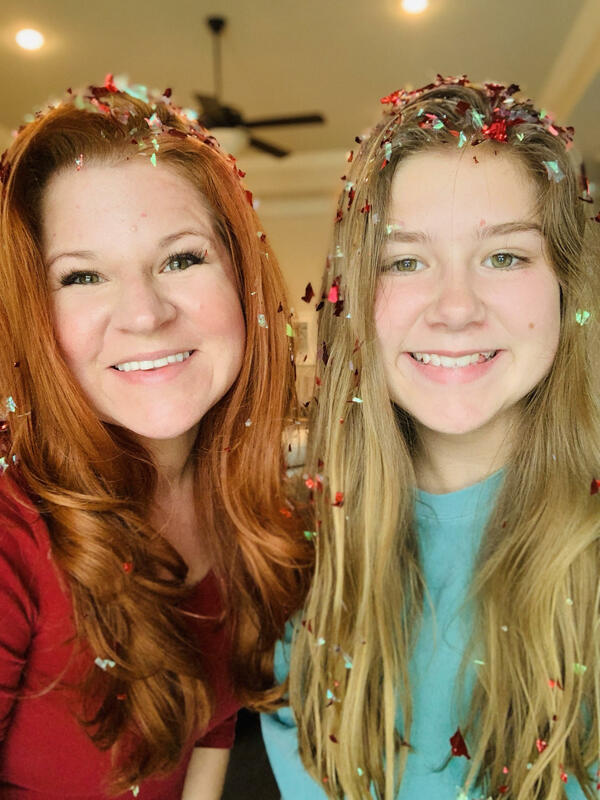 My favorites are Ranch Pasta Salad, Cowboy Caviar Dip or really any old these old fashioned side dish recipes! 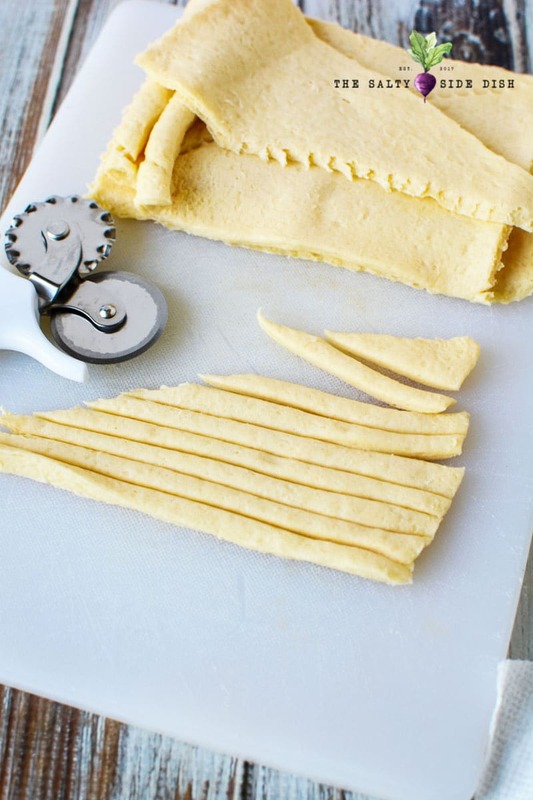 The trick for these will be to cut small/thin strips of crescent dough and to pull it so it’s stretched out and even thinner. Otherwise, it’s a bread item and will puff up. I used 2 crescent rolls for 4 hot dogs, so the entire package of rolls would need 16 hot dogs. I put that in my ingredient list. It probably takes at least 10-15 minutes to cut and roll all of those hot dogs. If you don’t have a pastry cutter as shown you can use a pizza cutter. 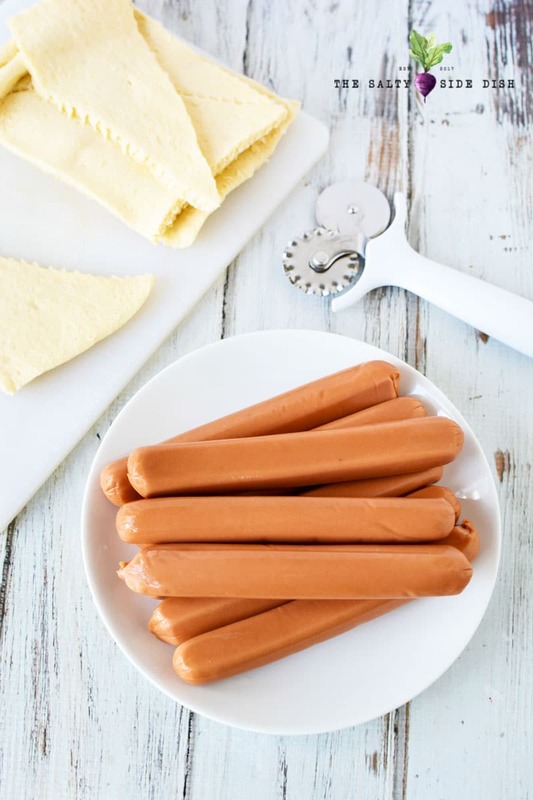 This mummy hot dog is so easy to make! Its quite simple, with only 3 ingredients, and very little prep for a big foodie reward. To get started, as is with all cooking, preheat oven to 375 and line a baking pan with parchment paper . Use a paper towel to dry hot dogs if wet. Use a pastry cutter or pizza cutter to cut each crescent triangle into thin strips. Pull and stretch the strips before wrapping them around each hot dog. As noted under the mummy dog tips section, this allows the mummy portion to stay FLAT on the dogs rather than puffing up like a roll! Do you best to keep the seams of the dough on the back of the dog and tuck any loose dough under the back/bottom of the hot dog. Leave a small opening in your wrapping for eyes. Are these not the CUTEST Halloween appetizers EVER!! 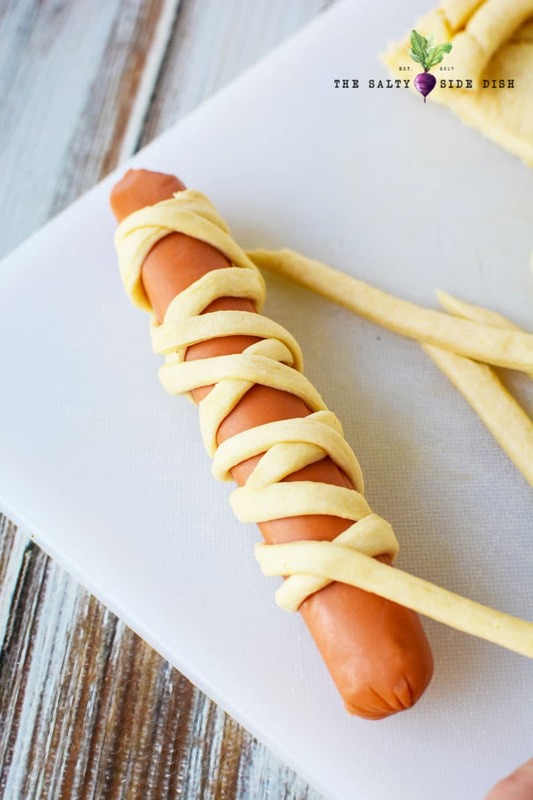 You could also make mini mummy dogs by cutting in half or using small sausage links. And no holiday is complete with out a dessert, so whip up these Christmas tree cupcakes or use this Oreo Truffle recipe to really excite those taste buds. Mummy Hot Dogs are the perfect Halloween appetizer. So adorably cute and perfectly delicious, these mummy dogs are just the finger food you serve before trick-or-treating. Using a crescent roll as a bun, you can wrap up your dog into a bite sized mummy that will delight kids and adults alike! Preheat oven to 375 and line a baking pan with parchment paper. Use a pastry cutter or pizza cutter to cut each crescent triangle into thin strips. Pull and stretch the strips before wrapping them around each hot dog. Do you best to keep the seams on the back and tuck any loose dough under the back/bottom of the hot dog. Leave a small opening for eyes. Bake for 15-18 minutes or until golden brown. Let cool before using a toothpick dipped into mustard to add eyes.